I'm continuing down the path of re-exploring some of my favorite childhood novels in the Star Wars universe. I'm finally to the part of the New Republic Era of books where it starts to get really good. I just finished reading X-Wing Rogue Squadron and I'm surprised to find that it's still as good as I remembered it. I was afraid this series wouldn't hold up. I haven't read these books since I was a teenager or earlier. It's still fantastic. Rogue Squadron is the famous squadron of X-Wing pilots that developed out of Red Squadron from the first Star Wars movie. Most of the well known pilots have either died or moved on when this series picks up. Only a few veteran rogues are left to rebuild the squadron with new members. It's a good primer on a few of my favorite characters from the Star Wars universe, Wedge Antilles and Corran Horn. Wedge was one of Luke's friends and he is the current leader of Rogue Squadron. He's the most veteran fighter pilot and he's been a huge part of the rebellion's success. He's one of the pilots that took out the second Death Star. Corran Horn is a CorSec officer turned Rogue Squadron Pilot. He has the background of being a police officer for the Corellian system and an amazing pilot. As Rogue Squadron diversifies and has more ground engagements he really starts to show his skills. He eventually goes on to become a Jedi. This is also a great series because characters are introduced, developed, and killed throughout the series. We are now far enough away from the movies' main cast that most characters don't have plot immunity. Bad things can happen to them and they can actually be put in real danger. It makes the series so much better. 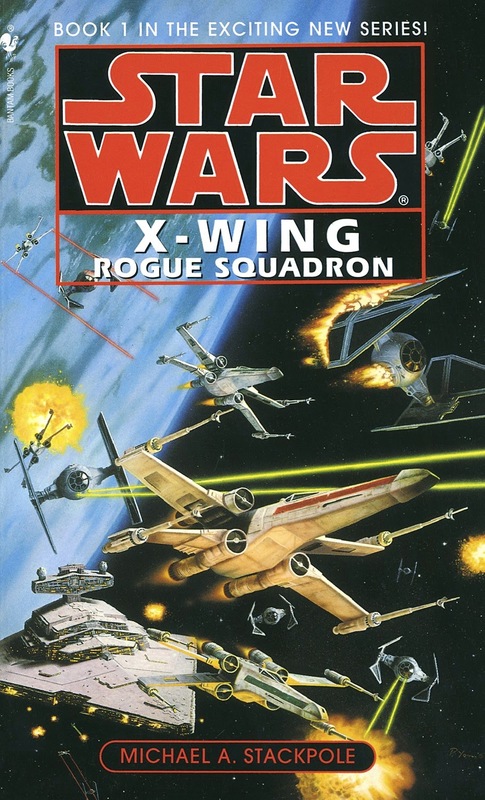 This particular book in the X-Wing series shows the reformation of Rogue Squadron with new pilots and the way the Squadron starts spearheading the New Republic push toward Imperial Center. The Emperor is dead but the Empire lives on. The New Republic is gaining the upper hand, but they haven't freed the galaxy yet. I had so much fun reading this one that I'm excited to immediately jump into the next book in this X-Wing series! Ah yes, Michael Stackpole. I wish his career outside of writing in the various IP universes took off better. He's simply amazing in anything he writes. I remember enjoying the Rogue Squadron books he wrote, but not really caring about the others. It seems like most of the series was written by him. I'm in the middle of the next book at the moment and really enjoying it too!